Our top choice for all-in-one business automation. Handles all of your critical business tasks including customer relationship management (CRM), email marketing, post card marketing, two way text messaging, landing pages, billing, membership site protection and collections. When you invest in Ontraport you eliminate the need for webhosting, membership site plugins, email autoresponder, shopping cart, merchant account and CRM saving you thousands of dollars, and hundreds of hours of pulling your hair out, trying to get all those other solutions duct taped together. Once set up, Ontraport automation is literally like having a virtual assistant that takes care of all your administrative tasks… following up with clients and customers via text, email and postcards, product fulfillment, billing and collections, and ensuring your customers have access to their online services. You name it, Ontraport can probably do it. Much less confusing than other solutions on the market, Ontraport comes with 2 hours of dedicated “setup assistance,” which gets your system up and running very quickly. It also comes with a 90-day money back guarantee – the best guarantee in the industry. Collecting new, highly targeted leads should be a top priority for any business. 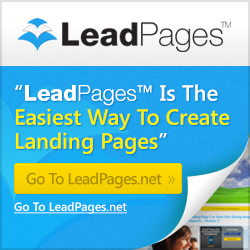 LeadPages makes this extremely easy with their beautifully designed optin pages. These pages have been tested to have some of the highest conversion rates in the industry, and we've had pages turn 7 out of 10 visitors into leads! LeadPages integrates seamlessly with all of the major email marketing providers including Ontraport, InfusionSoft, GetResponse, Aweber and MailChimp. It also integrates with GoToMeeting and WebinarJam Studio, allowing you to register prospects for your upcoming webinars and add them to your email database in one fell swoop. There are a lot of hosting options to chose from, but we highly recommend checking out A2Hosting. They have some of the fastest shared servers out there (shared = affordable for small businesses). Consider their SSD hosting to increase your speed up to 300% over the competition. (Note: Some of the big hosting companies you may have heard of such as BlueHost and Hostgator were recently purchased by a new company who promptly moved existing customers' sites onto slow servers and gutted customer service. As a result we can no longer recommend those services). Want to learn everything you need to at least double your business with an evergreen, “serialized” story-based email sequence… even if it’s your first try? If you're ready to step up your email marketing game, Autoresponder Madness is will show you how to use the art of “Serialized” storytelling to connect, persuade, and influence. You’ll learn everything you need to know to use serialized emailing to get your email system churning out record profits… While offering real value to your list… And building a ton of goodwill and engagement in the marketplace.